While I was working as a Bollywood actress, the Indian press nicknamed me “Festival Girl”. I took that title very seriously and I never stopped. 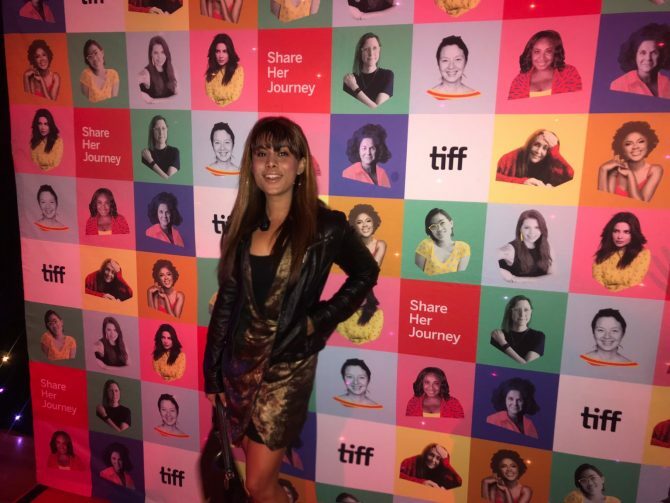 I travelled to different film festivals around the globe and after being a part of the Cannes, Berlinale and Venice International Film Festival… it is finally my turn to voyage into the charm of The Toronto International Film Festival (TIFF) 2018. This time it was different, I wasn’t representing a film but instead, immersing myself into one of the world’s biggest film festivals as a young writing student at the Toronto Film School. I wasn’t walking red carpets, but rather I was attending the festival as a resident of this great city, as a learner and a lover of cinema and it is an experience that I am taking much away from. During the past two weeks, I have taken in amazing films, attended industry events, meeting directors and producers, and all of this as a Toronto Film School student. My TIFF’s journey started with a Spanish film titled Belmonte Directed by Federico Veiroj. Gonzalo Delgado as Javier Belmonte plays the title role. The story is based on a successful middle-aged contemporary artist who mainly paints portraits sexually liberated naked men. The plot eventually delves into his mid-life crisis by unfolding a complicated relationship with his divorced wife, who is now pregnant with another man’s child and his undeniable love for his ten-year-old daughter. The script deals with many unanswered psychological moments where the protagonist seems to frustrate himself in confusion and solitude. Overall, Belmonte is more film of moments than a story, and It would garner a particular genre of audience. Following the post-Belmonte’s screening, I changed into something more formal, and along with a fellow Toronto Film School student, we attended the TIFF Tribute Gala After-Party at the Fairmont Royal York, Toronto. The TIFF Gala is a fundraiser for the #ShareHerJourney Campaign in support of women in film. This campaign is about empowering female filmmakers by encouraging various designed programs specifically for women in the industry. 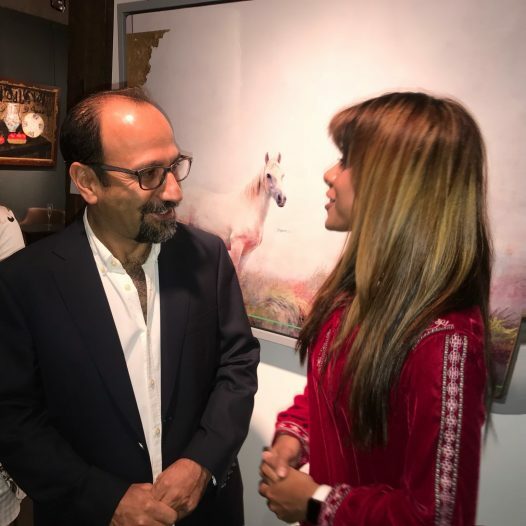 Along the campaign, this year’s event also paid tribute to the TIFF’s outgoing CEO, Piers Handling, who nurtured this festival under his advocacy and leadership for past three decades. This party felt beyond glitter and shimmer. It was more about a fraternity of filmmakers from different corners of the world uniting with each other in the euphoria of absolute joy. As a film school Film School Student and a budding filmmaker, these shinny nights will also play a role, someday, in the facets of my unseen journey #ShareHerJourney. So inspired by the evening before, I arose early on the following morning of Saturday, Sept 8 and headed back down to Toronto’s King Street West, the hub of the festival, for the Share Her Journey Rally. Don’t just grow up to become someone’s wife or mother and especially don’t become your mother because I wasn’t allowed to dream, because I forgot about my dreams. You must become something because unlike me you will own your life, a life that must achieve her dreams. Yes, Mom, I have more than one dream… and I might achieve them all because I own them. That evening, I was back into the theatre, this time to see a French Film titled Mademoiselle De Joncquieres, Directed by Emmanuel Mouret. It’s a tale of love, vengeance and betrayal that travels back to 150 years in a French Countryside. The film is a period drama based on the fury of a woman scorned in love. The plot revolves around a young widowed beauty, Madam de Pommeraye, who despite several warnings by a friend, slowly falls in love with a philanderer Marquis de Arcis. But after a couple of years of assurance, Marquis breaks her heart and here is when the wounded widow decides to take her revenge. She recruits two prostitutes from a brothel, beautiful Mademoiselle de Joncquieres and her mother to teach her former lover a lesson under a wealthy disguise. The film felt like an adventure of comfort even with its diabolical character arcs. It attempted to show us both sides of love …beauty and evil with fascinating characters and delicious dialogues. During the final question answer round the director made a statement: “Trouble with Love is… how to make it last.” He also mentioned Mademoiselle De Joncquieres is inspired from the Film “Dames du Parc” (1945). It was the first Sunday of the TIFF weekend and also my first Sunday with hundreds of Canadian filmmakers at the CFC BBQ (Canadian Film Centre). An afternoon of networking with the who’s who of this entertainment industry. Not to forget, networking is a core necessity in our profession no matter how talented you are and filmmaking is teamwork because you can never tell a story to your audience just by yourself. I attended an exclusive event sponsored by Toronto Film School for the two time Academy Award Winning Iranian Director Asghar Farhadi. His last two films A Separation and The Salesman won in the category of The Best Foreign Language Film. This year his film Everybody Knows, starring Javier Bardem, Penelope Cruz and Ricardo Darin, got screened at TIFF after making it to The Cannes Film Festival and The Berlin Film Festival. I loved watching Everybody Knows at TIFF and his shift of storytelling from his rustic Iran to a golden Spain captivated me. I met Asghar Farhadi in person at this event after watching his film. He came across as someone very humble and nice. While discussing Iranian Cinema, he asked me about my career in Canada as a writer in comparison to my career as an actress in Bollywood. He also mentioned that he is discussing a project with Aamir Khan, who is one of our biggest Bollywood stars. Well, the conversation continued for a while from Iranian Cinema to the Academy Awards and then we came back to Bollywood. Having the opportunity to attend the 43rd year of TIFF was an enduring experience for me. It was as if this city was celebrating a carnival of Cinema. The time of the year, when the only source of entertainment is diverse stories told by diverse filmmakers across the globe. I believe these two weeks of TIFF was a journey for me, a journey that would definitely help me somewhere or in some way to become a better writer and filmmaker. And who knows… I might have my own film showcasing at the TIFF 2019 next year.